Gentle shampoo for the fine, delicate hair of the child or baby. Thanks to its new formula enriched with Avocado Perseose, a patented ingredient of natural origin, Mustela baby Shampoo reinforces the skin barrier and preserves the cellular resource. 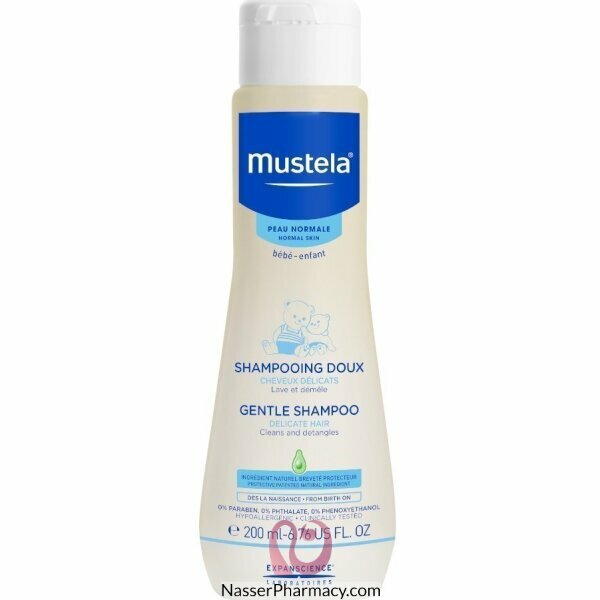 On contact with your baby’s hair, Mustela Baby Shampoo forms a gentle lather with a pleasant fragrance. Quick-rinsing, tangle-free. Leaves the hair delicately fragranced, silky and static-free.